Paul Van Devender was appointed the Managing Director of the Detroit office in June 2018. As Managing Director, he supervises a team of over 400 employees, including approximately 50 leasing and sales professionals, who specialize in Capital Markets, Global Workplace Solutions, Asset Services, Project Management, Move Management, Valuation and Portfolio Administration. His responsibilities include business development, service delivery, community & industry relations, recruiting & retention, client relations and the overall profitability of the CBRE Detroit operation. Paul’s broad industry knowledge and excellent leadership will help drive exceptional outcomes for our Detroit Metro and Global clients and employees. 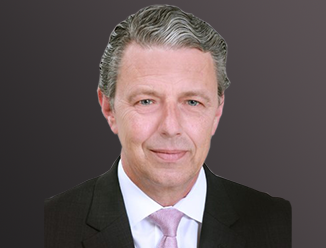 With over 18 years of commercial real estate experience, Paul has executed transactions in over 20 countries throughout the EMEA and the Pacific. Formerly Paul served as COO of CBRE Martin in Lansing and Grand Rapids. Prior to his position with CBRE Martin, Paul was also COO of CBC Alliance in New York, where he managed business operations for six offices nationwide. Additionally, Paul serviced as President & Executive Director of ONCOR International, with offices in over 25 countries. Paul began his career in the U.S. Air Force, servicing as Crew Chief on Air Force II during the Clinton Administration, overseeing aircraft maintenance. He is also a veteran of Operation Desert Storm.